Hover on a Customer's name to see a "+" sign appear and click on it to add a new Customer Card for this Customer. When the panel appears, the main Customer Code will automatically be selected. Simply add a Sub-Code to differentiate between multiple Customer Cards. 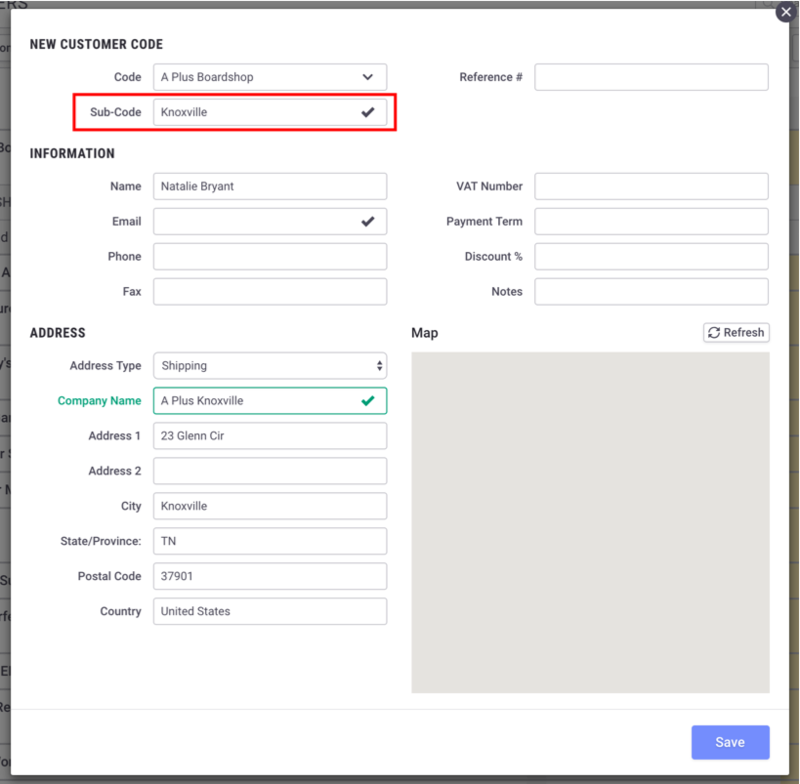 When multiple Customer Cards are associated with the same Customer, they will be displayed in alphabetical order under the expanded Customer entry.